All three were on the lam from their probation or parole at the time the new, alleged crimes were committed. Their stories aren’t isolated. There are thousands more cases in which criminals wanted on a probation or parole violation commit a new crime before they are captured, a Pittsburgh Post-Gazette investigation found. There are shootings, robberies, killings. Chases, assaults, even a kidnapping. The federal government counts more than 4 million people on probation, parole or a similar program in the United States — that’s more than the number of people in all of its prisons and jails combined. In 2014, the most recent year for which statistics are available, more than 350,000 probationers and parolees returned to jail — nearly 100,000 of them on new sentences. Even in one of the top-performing places, Hennepin County in Minnesota, it took an average of 43 days to arrest a probation violator. In one of the slowest, Pima County in Arizona, it took more than twice that amount of time — 91 days on average. Some agencies, such as the Nevada Department of Public Safety, only keep lists of people currently wanted on warrants, and said they would have to sort through thousands of case files to get past data. Other agencies, such as the Los Angeles County Superior Court, work on decades-old computer systems that make it difficult to extract information. Many offices are stymied by budget constraints. In many cases, counties don’t have a person or a unit dedicated solely to tracking down violators. In some of those counties, officials don’t have a complete picture of how many people go on to commit new crimes while under their supervision. Both are forms of supervision for people who have crimes in their past. 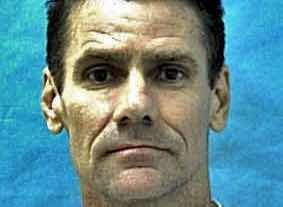 Parole is generally an early release from prison. Probation is generally given in place of or following a prison sentence. "I don't really have faith in the system at all. There were some serious missteps there." Boyes rents a white 2015 Ford Flex from a rental car company in Jacksonville, Florida. That same day, he misses an appointment with his parole officer. A parole officer visits an address for Boyes, finds him sitting on the front porch and tells him to report for a meeting the next day. Boyes misses another meeting with his parole officer. Boyes' parole officer files a violation report, requesting that the Florida Commission on Offender Review issue a warrant for him. Someone breaks into Boyes' mother's home in Illinois and steals several pieces of jewelry. Officials said that Boyes sold jewelry at an Illinois pawn shop "within a matter of days." The Commission on Offender Review issues a warrant for Boyes. That same day, the parole officer calls Boyes' cell phone and gets no response. She also does a records check, noting that "no new arrest" was found. Officials suspect Billie Potter, 67, and Gerald Boyes Sr., 73, are killed in their Kentucky home this morning. Hours after investigators suspect the killings occurred, the rental car company contacts officials in Jacksonville, Fla., to report that Boyes Jr. didn't return the car. A neighbor in Paducah, Kentucky, calls 911, and officials finds Potter and Boyes Sr. dead. Boyes Jr. sells a wallet that belonged to his father at a pawn shop in northern Illinois. Two detectives who were en route to Florida to find him discover the purchase in a database and head north to find him. Two Kentucky detectives visit the pawn shop where the wallet was sold and work with local law enforcement to put an alert out for Boyes Jr.
Officers in Antioch, Illinois, find Boyes inside the rental car. Boyes Jr. raises a gun around the same time police start firing at him, officials have said. Boyes Jr. dies at the scene. Allegheny County Sheriff's Sgt. Doug Clark logs locations the deputies visit each day, noting where they found fugitives and where they struck out. An Allegheny County Common Pleas judge approves a request for a violation warrant. This process could be triggered by many types of events — such as a new arrest, skipped drug tests, missed visits with a probation officer. A worker in the Allegheny County Sheriff's Office prepares the warrants for their fugitive squads. This person uploads details of the warrants into a national database, making them visible to officers across the country. The original copies of the warrant stay in the courthouse. Copies are made for deputies on the fugitive squads. Members of the fugitive squads meet at least once a week to try to determine where they think most of the people they're seeking will be staying. They'll spend the rest of the week visiting those locations — unless they get pulled to help with another task, such as tracking down a reluctant witness for a homicide hearing. When the fugitive squads or other officers find violators, they generally take them to the Allegheny County Jail, where they remain until a hearing before a judge. An Allegheny County Common Pleas judge approves a request for a violation warrant. This process could be triggered by many types of events -- such as a new arrest, skipped drug tests, missed visits with a probation officer. Members of the fugitives squads meet at least once a week to try to determine where they think most of the people they're seeking will be staying. They'll spend the rest of the week visiting those locations -- unless they get pulled to help with another task, such as tracking down a reluctant witness for a homicide hearing. This chart includes the median and average number of days it took officials in selected U.S. counties to catch people wanted on probation or parole violation warrants. In many cases, the averages were brought up by outliers -- cases in which someone was on the run for one or two years, for example. Covington gets "discharged" from a substance abuse and aftercare program required for his probation "due to non-attendance." Charlotte-Mecklenburg police in North Carolina charge Covington with illegally possessing prescription drugs. He posts bail. There are no other filings in this case until after the killing. Georgia officials obtain a probation violation warrant for Covington on the grounds he failed to complete his treatment program. 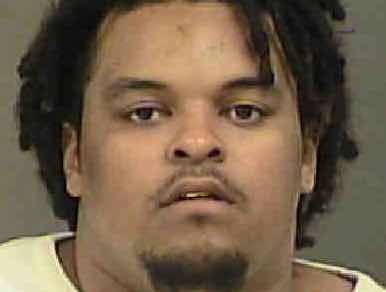 Ernest Cash Jr., 19, is shot at an unknown location and dropped off at the Carolinas Medical Center in Charlotte, N.C. with a "life-threatening gunshot wound." Cash dies at the hospital, and Charlotte-Mecklenburg police announce they are seeking Covington and a teenager as "persons of interest" in the case. Police obtain warrants charging Covington with first-degree murder and illegally possessing a gun. Covington is not yet in custody. Covington is arrested on the murder charge. A grand jury indicts Covington on charges of related to Cash's death. A grand jury indicts Covington on charges stemming from the July 2015 drug incident. “What keeps me up at night is whether or not [violators] are out committing a crime." Probation Officer Beth Heidmann begins her day by checking her email. She's looking for notes on probation and parole violators who were arrested the previous night or who recently had warrants issued for their arrest. Some of those notes come automatically when a probationer or parolee is booked into a Minnesota jail and fingerprinted. Others are from human beings alerting her to new arrests or new warrants that were issued. Officer Heidmann writes up a list of fugitives and prioritizes them based on their criminal history, risk-level as determined during a series of questions, and other factors. Officer Heidmann searches through the fugitives' case files looking for potential addresses, names of relatives and other details that might help officers find them. Officer Heidmann searches social media sites, such as Facebook, for leads. She says she also often gets helpful information from Google. Officer Heidmann puts all of the information on the fugitives on "run sheets," which she will hand off to the officers who are going to search for them. Officer Heidmann contacts other agencies for help coordinating the arrests. She often begins with the Hennepin County Sheriff's Office, where she has a desk, or with U.S. Marshals who also work there. If she thinks someone is staying in another community, she'll search for a phone number and contact officers there. Take an inside look as federal and county agents search for probation violators in Pima County, Arizona. Ken McCulloch, Pima County Adult Probation field services director, discusses the challenges of tracking down parole and probation violators. Fernandez is sentenced to 60 days in the county jail and two years of probation. Fernandez misses a drug test, according to court paperwork. Fernandez misses another drug test, according to court paperwork. A probation officer signs a petition to revoke Fernandez's probation, noting that his "current whereabouts are unknown" and he's still unemployed, among other violations. A judge signs the petition to revoke Fernandez's probation. A bench warrant is issued for Fernandez. A 7-year-old boy is wounded during a shooting at his aunt's apartment in Tucson. 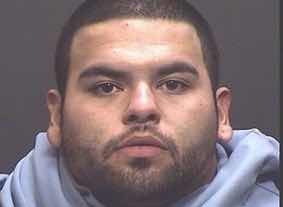 Police arrest Fernandez in the shooting and on his probation violation warrant. “Missing Fugitives” is an ongoing series about probation and parole systems, the ways they track violators, and the people impacted when they don’t do it well. 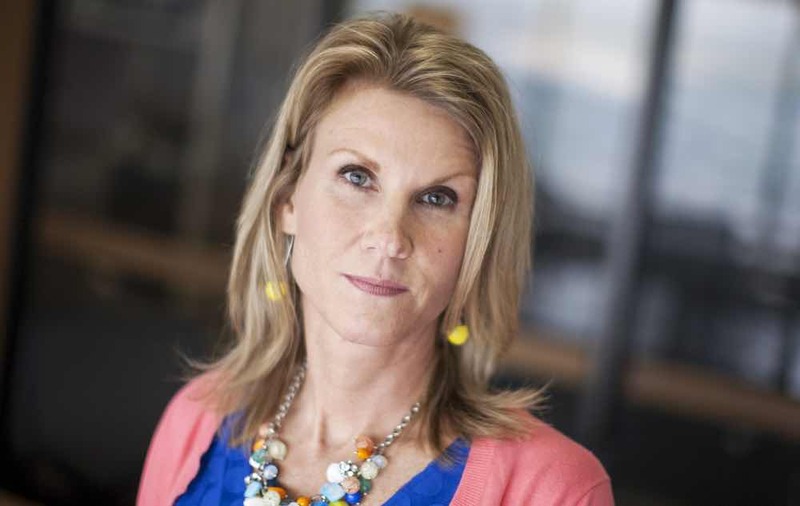 Liz Navratil of the Pittsburgh Post-Gazette did her reporting through a nine-month Perry and Alicia O’Brien Fellowship in Public Service Journalism at Marquette University. Additional resources were provided by the Fund for Investigative Journalism. Milwaukee Journal Sentinel reporter Kevin Crowe assisted with data analysis. Marquette University students Henry Greening, Ryan W. McCarthy, Kelly Meyerhofer and Lily Wellen also assisted. Lillian Thomas, assistant managing editor for news at the Post-Gazette, and Greg Borowski, deputy managing editor for projects, investigations and digital innovation at the Journal Sentinel, and copy editors David Bennett, Grace Bodura and Patrice Giancola edited the stories. In the wake of cases in which people on probation or parole committed new crimes, the Pittsburgh Post-Gazette sought to learn more about how agencies track them. Beginning in the summer of 2015, we requested the names of all people who had probation and parole violation warrants issued in 2013 and 2014, the dates the warrants were issued, the dates they were arrested and the crimes that placed them on supervision in the first place. We requested data from agencies in the country’s 50 largest counties. In some cases, multiple agencies supervise people and we were able to get data from some but not all of them. Sometimes, we received information about people on probation but not parole, or vice versa. We generally requested data first from local court systems. If it wasn’t possible to get data there, we reached out to some supervising agencies in the area. Some places, such as the Massachusetts Probation Service, which supervises people in the communities surrounding Boston, denied requests, citing laws governing the release of information about people on probation. Others, such as the Cuyahoga County court workers, whose office covers Cleveland, said their systems did not distinguish between probation violations warrants and other types of warrants. Several, such as the Sacramento County probation office, said they did not keep bulk information on warrants and would have to go through thousands of individual case files to gather a comprehensive list of warrants. In some places, such as Allegheny County, the exact arrest date was not available in court records, but it was possible to get the dates that the warrants were listed as served — which would indicate that the person had been picked up. In all, we received usable data from 17 counties. With help from the Milwaukee Journal Sentinel, we calculated the number of days that elapsed between a warrant being issued and the day used to mark when someone had been arrested. We then calculated the average time in each jurisdiction, as well as which percentages of people were still wanted after given periods of time, such as a week and a month.